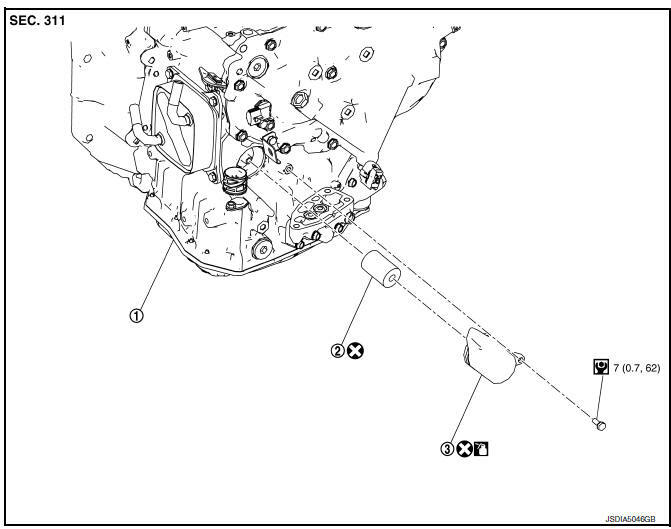 Remove neighboring parts of CVT fluid filter. 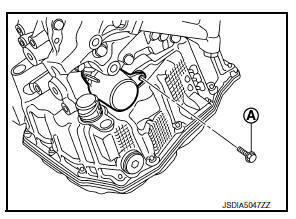 Remove fluid filter cover mounting bolt (A). 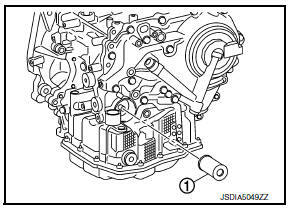 Remove fluid filter cover (1) from transaxle by rotating leftward. Remove CVT fluid filter (1) from transaxle. Do not reuse fluid filter and fluid filter cover. 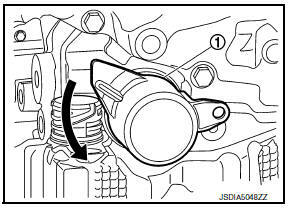 Apply CVT fluid to fluid filter cover.